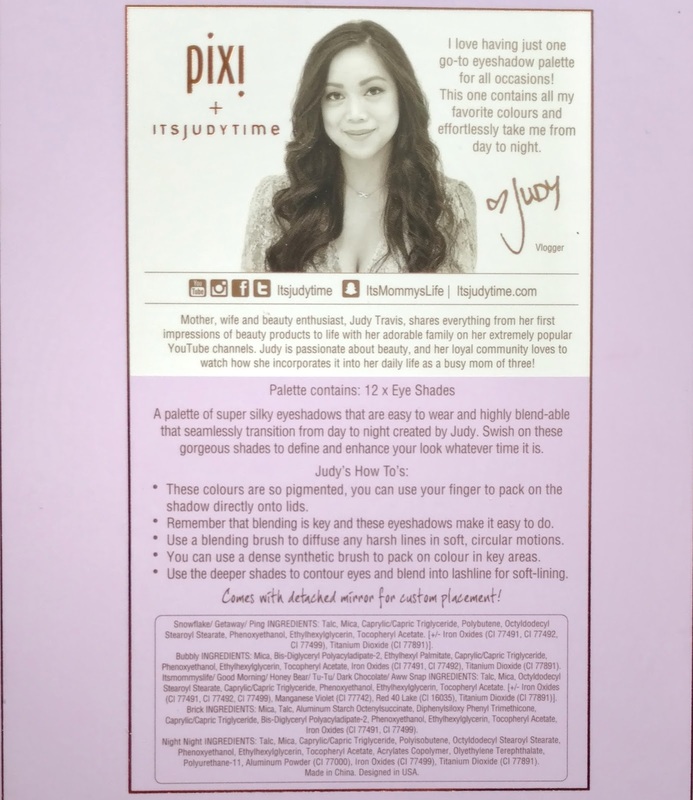 I recently picked up the new ITSJUDYTIME Eyeshadow Palette from Pixi Beauty and I've been using it for a few weeks now, so I'm ready to share my thoughts with you! It's available now at Target and the $24 price point is somewhere in-between a drugstore palette and one that's more high-end. 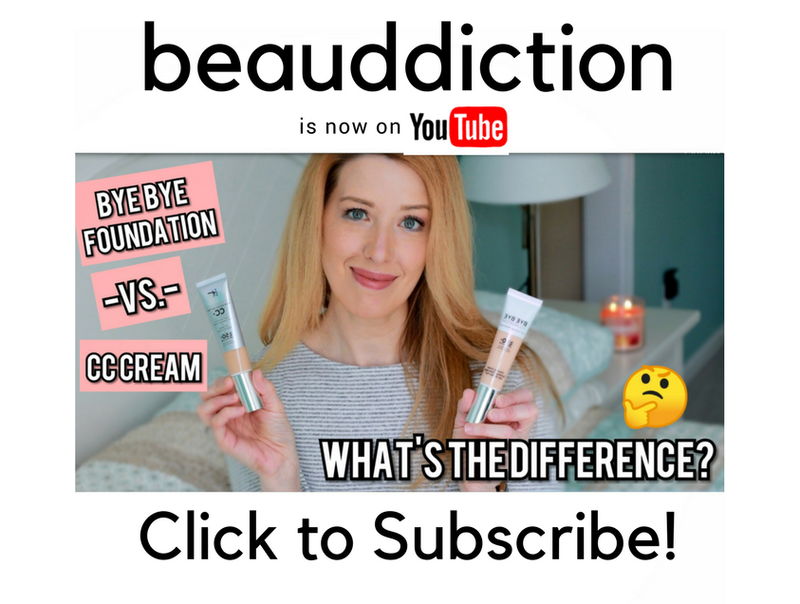 It comes in a really pretty lavender box with Judy's photo on the back (if you're not familiar with her, she has a few different YouTube channels that focus on beauty and lifestyle). 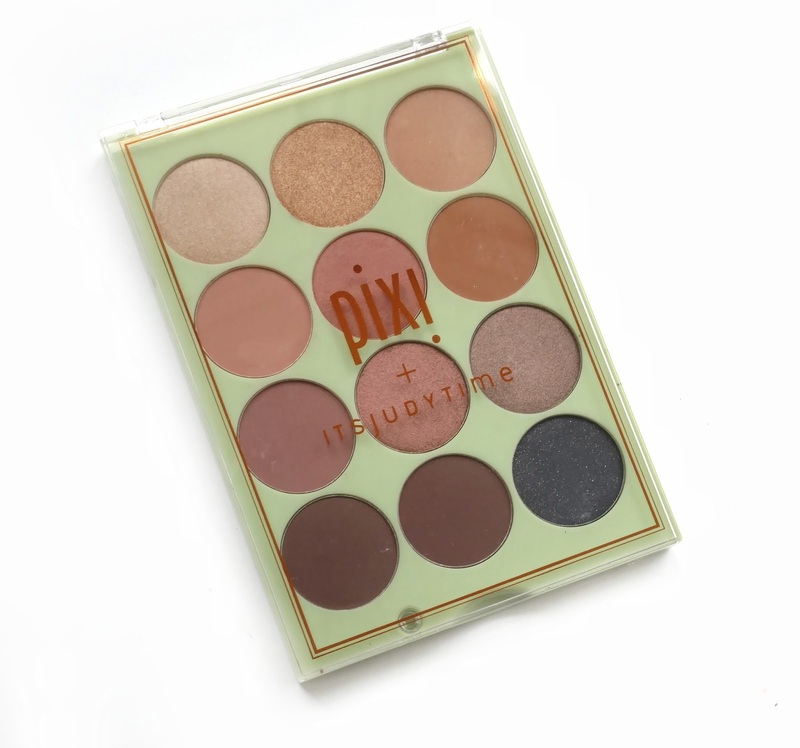 The palette itself comes in Pixi's signature pistachio green color and has a clear lid so you can see all the shadows inside. 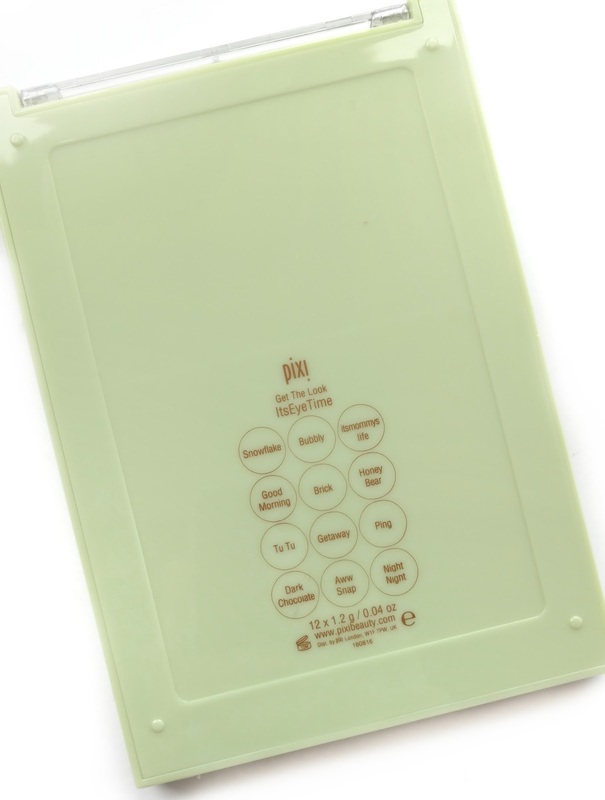 There's no permanent mirror but Pixi included a small mirror inside the box that can be mounted either inside the lid of the palette or on the back. After I took my photos, I mounted the mirror to the back of the palette in that blank section on top...it fits perfectly in that space! Also on the back of the palette are the names of the shades, and I'm so glad they included them on the back rather than on one of those clear plastic sheets. 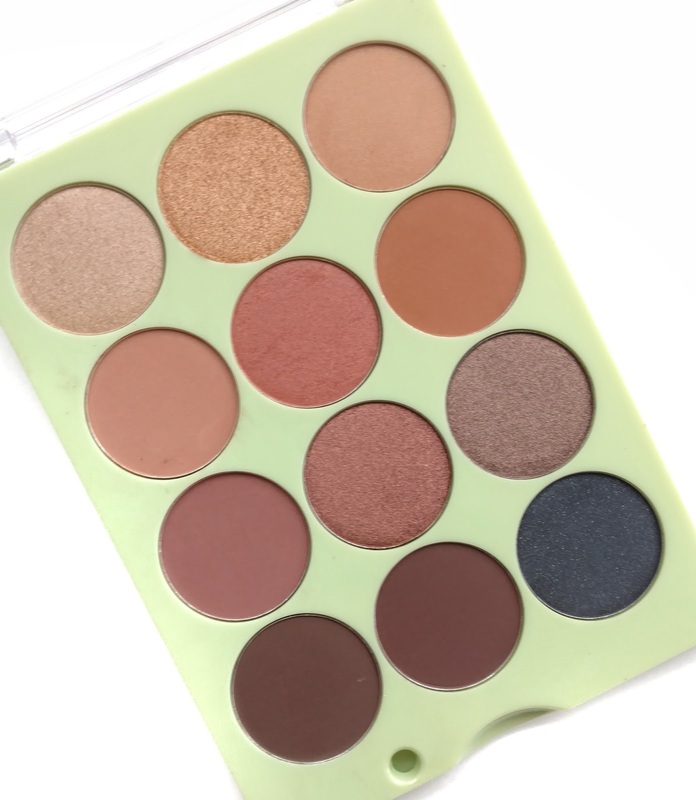 There are twelve eyeshadows in mostly warm-toned shades in matte and shimmer finishes. I do like the shade range a lot! I think it's a very wearable palette and she included some nice matte transition shades, shimmery lid shades, and deeper smokier colors to create a variety of looks. My one complaint about the shade range is that she did not include a matte highlight shade for the brow bone, which causes me to have to grab another palette to finish my look. Otherwise, I think there's a nice variety here. 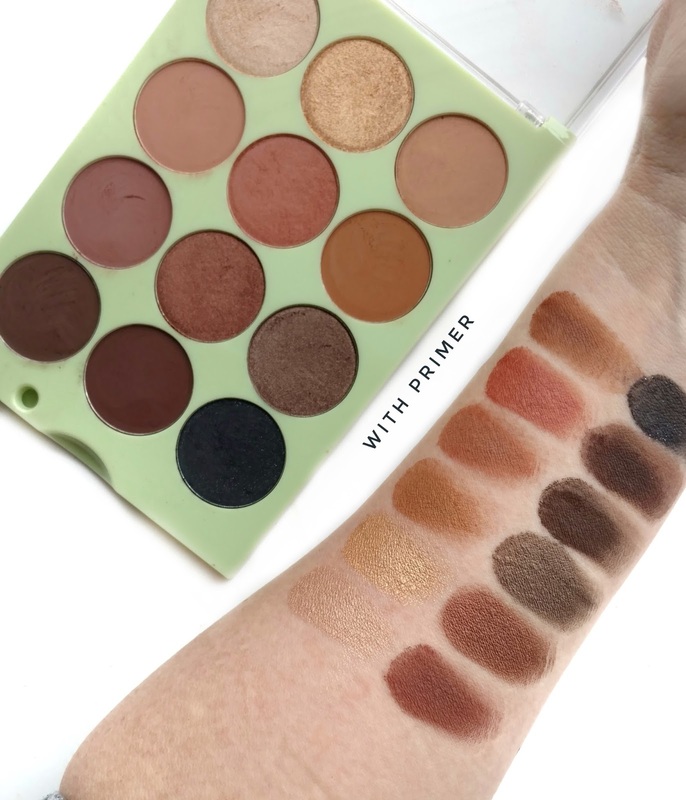 I decided to swatch this palette with and without primer so that you would be able to see how the shadows perform on their own. 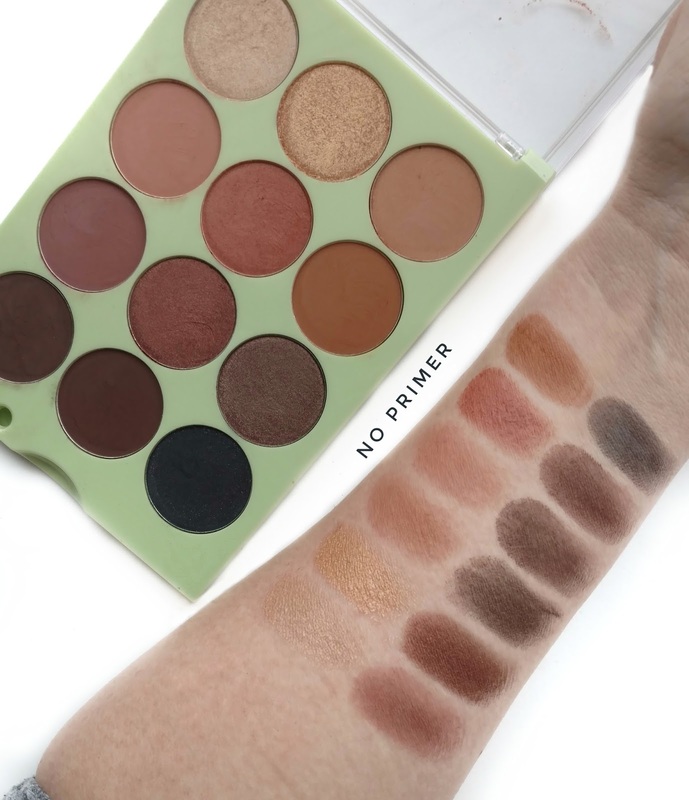 Without primer, the shimmer shades were very smooth and pigmented...they have a soft buttery feel and perform like higher-end shadows with no fallout! The matte shades are a bit more powdery and kick up quite a bit of fallout when you dip a brush into them. They're a bit washed out with no primer, and they don't look as deep as they do in the pan. Over primer, all of the shades perform beautifully. The shimmers are fine without it but the dustier matte shades definitely need something to grip to for best results. Overall, I think this is a decent palette for the price but when you're roaming the aisles at Target, there are still less expensive palettes that will perform just as well (if not better), such as the Cover Girl TruNaked palettes or the NYX Ultimate Shadow Palettes or Avant Pop palettes. I'm also not crazy about the fact that this palette doesn't have a matte highlight shade in it. But aside from a few negatives, this palette is still $15-$25 cheaper than a palette from brands like Lorac, Tarte, Too Faced etc., and it has a really on-trend warm-toned shade range that a lot of people are looking for. So if the shades speak to you, it's definitely still worth picking up...as long as you use primer! 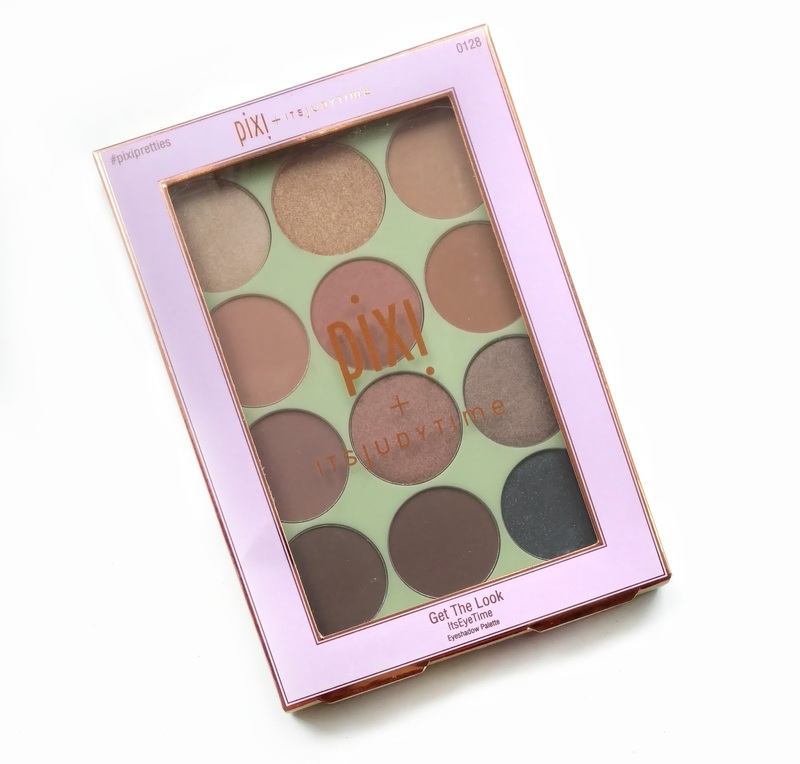 Disclosure: Affiliate Links/Purchased by me (note that Pixi did send me this palette in a PR package but I purchased the palette at Target a few weeks earlier with my own money).